Cyclone Oswald has well and truly left us now, but not without carving a swath of destruction over the Northern Territory, Queensland, and NSW. It has absolutely belted South Eastern Queensland and North Eastern NSW and hit Sydney with a vengeance early last week. There are a lot of people in Queensland who have lost everything again, but at least this time they were more prepared. 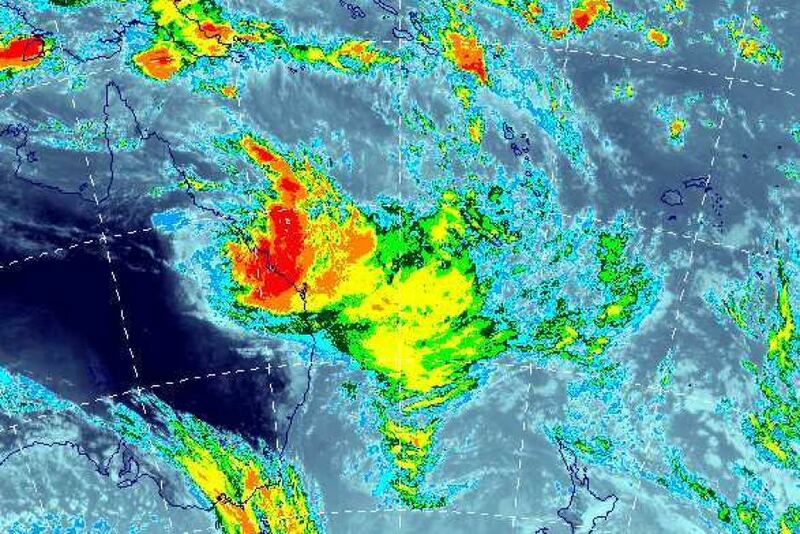 The satellite image below shows its size as it hit South Eastern Queensland, days before descending down to where I live in Sydney. If you want to get an idea of the scale that the storm is covering, this would swallow up the whole of Portugal, Spain, France, Switzerland, Belgium and the Netherlands at once (as well as parts of Italy and Germany) – I this checked by comparing the area of coverage on Google Earth. When it hit Sydney it was downgraded to a category 5 storm, but it pretty much drowned out the remainder of the Australia Day long weekend. 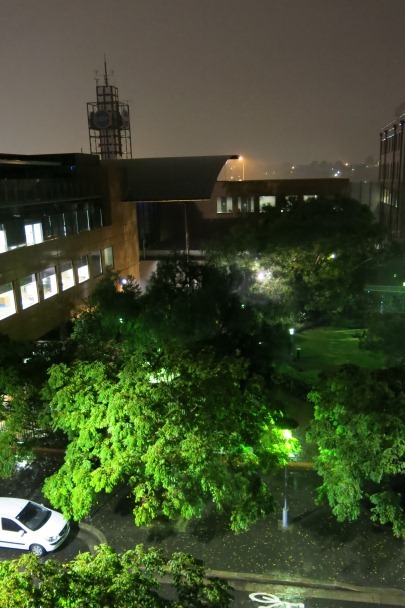 By Tuesday morning (29 January 2013) the storm had dumped 100mm of rain between midnight and 6am – pretty scary. 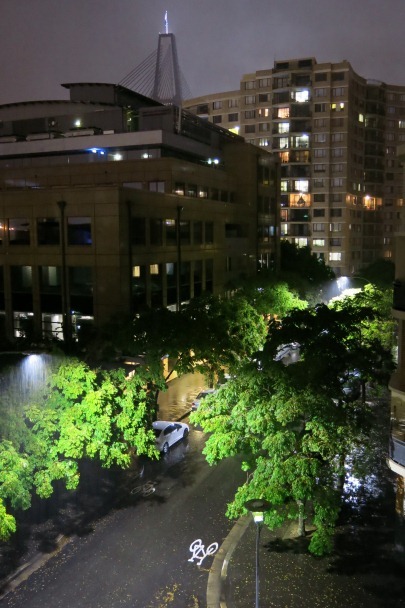 Being an amateur photographer, of course I wanted to capture my experience of the storm. I didn’t dare go out, given it was blowing a gale and my camera gear was not quite waterproofed. But I did venture out onto the balcony and pulled out my new Canon Powershot G15 to shoot a couple of snaps. I wanted to see what the in camera HDR setting would do and how would it show the detail in pretty horrid and bizarre low light conditions. Here are two shots that I shot on the Monday night before the real rain shower began. As usual all the photos link through to larger images on my Flickr photostream. There is a complete lack of definition in the sky and the drowned out clouds kept on dumping more as I went to bed. The reflection of the water on the buildings and the road brought out a lot of detail that I wasn’t expecting to capture – and I must admit, for a couple of HDR images, they don’t look to unrealistic. By comparison, here is the same two compositions taken using the camera’s auto setting. I much prefer the low light detail of the buildings and trees being brought out in the HDR images, without muddling around with the colour balance, hue, and saturation of the images. Meanwhile, inland, between Sydney and Melbourne our poor farmers can’t buy a bucket of rain. I took this shot while flying back to Sydney from the air and was absolutely amazed by how barren and brown the land was – while the coastal cities and towns were drowning under rain and flooding. There is no denying that Australia is a land of extreme beauty, but also extreme weather and we get reminded of this every day.